Are you looking for the ultimate outdoor adventure this fall that includes the best of everything the season has to offer? Are you ready to hit the road in search of delightful autumn scenery, your favorite cinnamon-spiced foods, and roadside pumpkin patches? 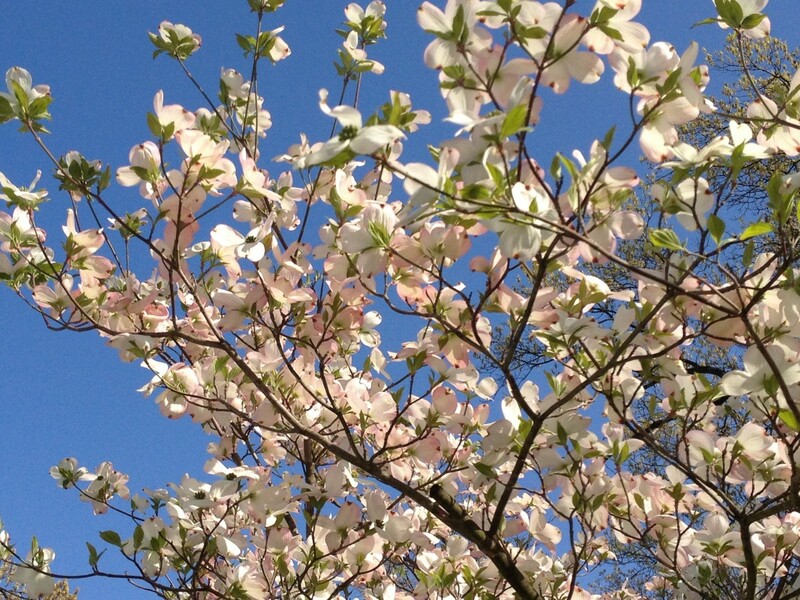 If you said "yes," just follow the Dogwood Trail, the sound of live music, and the smell of tantalizing food to the Fayetteville Dogwood Fall Festival on October 20. Celebrate everything fall and the city’s iconic dogwood trees at this annual spring and fall festival that kicks off at noon and guarantees you festive fun and non-stop excitement through 10 p.m. You’ll find even more reasons to celebrate in Fayetteville when you line up for these exciting activities at the Fayetteville Dogwood Fall Festival. Get ready for an awesome lineup at the Fayetteville Dogwood Fall Festival's outdoor Compare Foods Stage area with performances by Lotus Sun from 1 p.m. to 3 p.m. This Fayetteville rock-fusion-jazzy-blues band will have you up on your feet and singing along early in the day. You'll come alive when the Guy Unger Band takes the stage next at 3:30 p.m. This all-American classic rock band “puts life back in live music” and is best known for lighting up the atmosphere. You can sing along with your favorite Tom Petty songs when the Wildflowers band hits the stage at 5:30 p.m. Billed as America’s number-one Tom Petty & the Heartbreakers tribute band, they are well known for giving the “best spot-on renditions" of Petty's rock classics. The Head Games band performs a tribute to Foreigner starting at 8 p.m. You'll take a nostalgic journey back to the eighties with songs like “Double Vision” and “Hot Blooded” to end your festival fun. What's better than finding your favorite food truck nearby? Finding more than 25 kinds of diverse, appetizing food truck fare being showcased at the Fayetteville Fall Dogwood Festival! It gets even better with a food truck competition, celebrity judges, and four food awards to be presented to the competitors who serve up the tastiest morsels. Best of all, you're encouraged to vote on the People’s Choice Foodie Award to be given to a participating food truck at the festival. Then what could compliment food truck fare more fittingly than a cold craft beer? You’re sure to find the perfect one when you sample a few of the 12 different, refreshing craft beers available. Calling all arts and crafts fanatics! Head down to the Promenade any time during the Fayetteville Dogwood Fall Festival from noon to 6 p.m. to meet the best artisans in the Fayetteville area. Explore local arts and crafts and learn something new along the way. You won't want to leave without your favorite art or craft item! Located at Cross Creek Linear Park, the Kid’s Zone features activities such as a barrel train, two-story slides, bounce houses, and obstacle courses. A $10 bracelet allows for all-day access to the Kid’s Zone area, and rock climbing tickets are also available for purchase. Historic Hauntings will help you cross over to the Other Side (the other side of Cross Creek Cemetery), in this hour-long guided tour of Fayetteville's haunted history. Those who dare to be scared will need to meet at Ray Avenue just outside the park entrance between 7 p.m. and 10 p.m. $10 tickets may be purchased in advance or at the event. Nothing smells like fall more than fresh hay on an autumn afternoon. Add the tractor, trailer, and a cool breez,e and you're ready to get on board for a jaunty hay ride at the corner of Mason and Ray Avenues any time from noon to 9:30 p.m. This festival event is a unique tour experience of Downtown Fayetteville's rich American history. The cost of this attraction is $5 per ride. The Fayetteville Dogwood Fall Festival is one of the biggest events of the season, so mark your calendars for October 20 and plan on having lots of fall fun with your friends and family! Stay up-to-date on events in Fayetteville like the Fayetteville Dogwood Fall Festival by registering on 910area, your free guide to everything going on in the Fayetteville and Wilmington area.